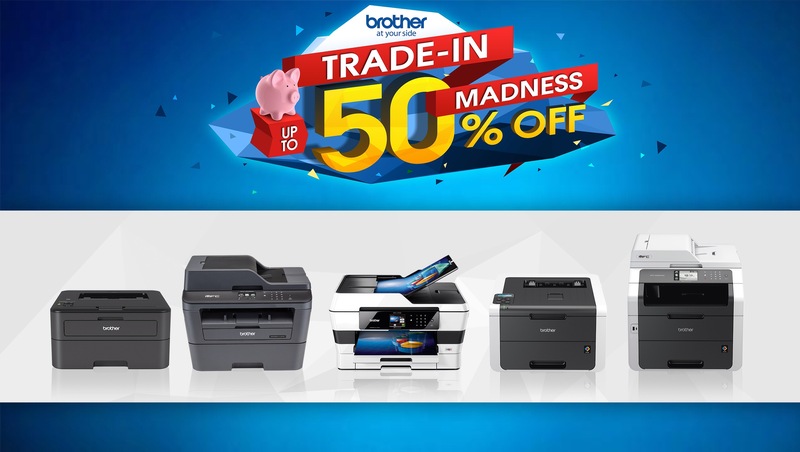 Brother International Philippines Corporation (Brother Philippines) is once more giving customers a chance to buy select models of printers and multi-function centres for up to 50 percent off their suggested retail prices (SRP) through the Brother Trade-In Madness promo. The promo allows customers to exchange their old working or non-working printer, scanner, copier, or fax machine of any brand at the Brother Trade-In Madness booth nearest them to avail of brand-new Brother printers and multi-function centres at more affordable prices. § Ground Floor Lobby, Lee Plaza Dipolog – September 24 to October 1. § Brother monochrome laser printer model HL-L2365DW at only Php5,592 or 20 percent off its original SRP of Php6,990. Working or non-working products of any brand that are exchanged for new Brother products are endorsed to an accredited recycling organization, which will in turn study their reusability and recyclability in accordance with Philippine laws and regulations.